Responding to an apparently insatiable desire for high-intensity interval training (HIIT), the makers of total-body cardio machines are introducing new models and enhancing existing equipment to give members what they want. The just-debuted MAX Trainer from Octane Fitness, for example, is based on the popular Bowflex MAX Trainer from Octane’s parent company, Nautilus. This heavy-duty commercial total-body stepper offers a low-impact HIIT routine that takes just 14 minutes. Also offering clubs sought-after variety is the new VERSO from SportsArt, a three-in-one cross trainer with stepper, cycle, and elliptical modes so that exercisers can easily change their motion during a session. SportsArt also makes the XTrainer, a recumbent cycle with bi-directional or bilateral moving upper-body handlebars that operate independently—with separate resistance from the lower-body pedals—for more balanced workouts. 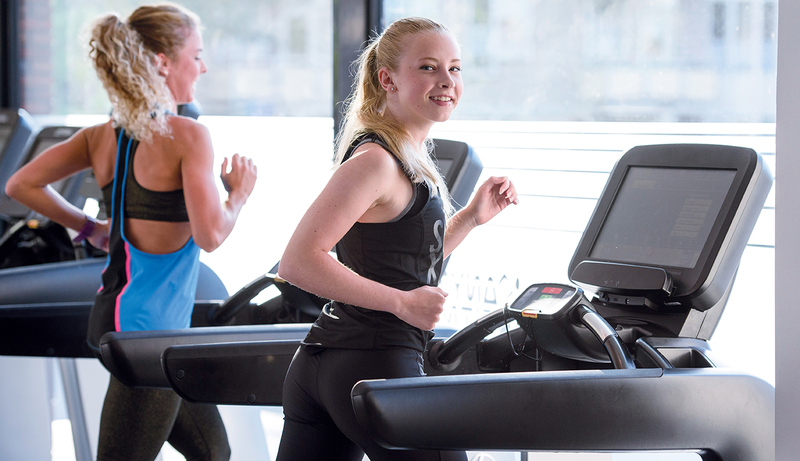 Makers of cardio equipment are keeping HIIT in mind with new designs and enhancements. “Functional training should inspire total-body machines that encourage free, real-life movements, rather than rigid planes of motion,” says Ivo Grossi, CEO of SportsArt. Technogym's Vario offers this freedom of movement—from stepping to walking and running—and seamlessly adapts to an exerciser’s stride. New Push & Pull grips also provide variety, as well as more effective upper-body engagement. “Biomechanical studies show that the Vario allows for a balanced distribution of the workload, resulting in reduced perceived effort, while still maintaining high calorie expenditure,” says Marco Zambianchi, president of Technogym North America. Another calorie-burner is Matrix's new Sprint 8 HIIT regimen available on the Ascent Trainer with Suspension Elliptical technology. The program is based on a scientifically proven protocol, and is adaptive and progressive, so exercisers don’t outgrow its effectiveness. “We want to create products that not only accurately reflect the unique movements of each user, but also yield measurable exercise benefits,” says Kevin Mast, global product manager of commercial cardio at Matrix. Finally, Jacobs Ladder continues to attract users seeking new challenges from unique routines. “People don’t realize this until they use Jacobs Ladder, but after a workout, your muscles feel exhausted, but your joints don’t feel beat up, so you know you’ve done some good for your body,” says Bob Palka, president of the company.